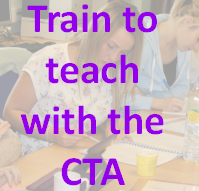 The Preston based Catholic Teaching Alliance (CTA) is a partnership of over 60 Catholic primary and secondary schools and post-16 colleges with a shared vision and commitment to providing first class, professional development for trainee teachers, practising teachers and school leaders. ﻿The lead School in the partnership is﻿ Our Lady’s Catholic High School ﻿at Fulwood, Preston﻿. Click here to see all members of the partnership.